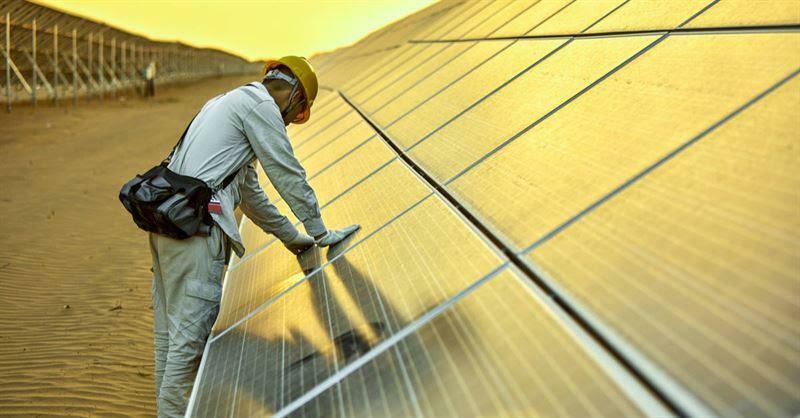 Abu Dhabi, UAE: 8 May 2018 — The renewable energy industry created more than 500,000 new jobs globally in 2017, a 5.3 per cent increase from 2016, according to the latest figures released by the International Renewable Energy Agency (IRENA). According to the fifth edition of _Renewable Energy and Jobs – Annual Review, launched at IRENA’s 15th Council in Abu Dhabi today, _the total number of people employed in the sector (including large hydropower) now stands at 10.3 million globally, surpassing the 10 million figure for the first time. China, Brazil, the United States, India, Germany and Japan remain the world’s largest renewable energy employers, representing more than 70 per cent of all industry jobs globally. Although growing numbers of countries are reaping the socio-economic benefits of renewables, the bulk of manufacturing takes place in relatively few countries and domestic markets vary enormously in size. Sixty per cent of all renewable energy jobs are in Asia. “Renewable energy has become a pillar of low-carbon economic growth for governments all over the world, a fact reflected by the growing number of jobs created in the sector.” said Adnan Z. Amin, Director-General of the International Renewable Energy Agency. “The data also underscores an increasingly regionalised picture, highlighting that in countries where attractive policies exist, the economic, social and environmental benefits of renewable energy are most evident,” continued Mr. Amin. “Fundamentally, this data supports our analysis that decarbonisation of the global energy system can grow the global economy and create up to 28 million jobs in the sector by 2050.” The solar PV industry remains the largest employer of all renewable energy technologies, accounting for close to 3.4 million jobs, up almost 9 per cent from 2016 following a record 94 gigawatts (GW) of installations in 2017. China was estimated to account for two-thirds of PV jobs – equivalent to 2.2 million – representing an expansion of 13 per cent over the previous year. Despite a slight dip in Japan and the United States, the two countries followed China as the largest markets for solar PV employment in the world. India and Bangladesh complete a top five that accounts for around 90 per cent of global solar PV jobs. Jobs in the wind industry contracted slightly last year to 1.15 million worldwide. While wind jobs are found in a relatively small number of countries, the degree of concentration is lower than in the solar PV sector. China accounts for 44 per cent of global wind employment, followed by Europe and North America with 30 and 10 per cent, respectively. Half of the top ten countries with the largest installed capacity of wind power in the world are European. “The energy transformation narrative is one of improving economic opportunity and a rise in social wellbeing as countries implement supportive policies and attractive regulatory frameworks to fuel industrial growth and sustainable job creation,” said Dr. Rabia Ferroukhi, Head of IRENA’s Policy Unit and Deputy Director of Knowledge, Policy and Finance. “By providing policy makers with this level of detail about the composition of renewable energy employment and skills requirements, countries can make informed decisions on several important national objectives, from education and training, to industrial policies and labour market regulations,” continued Dr. Ferroukhi. “Such considerations will support a fair and equitable transition to a renewables based energy system.” Download the full report here. A video statement for your use from the Director-General can be accessed here and downloaded from here.